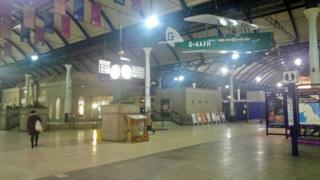 A full-size model of the aircraft used by the first woman to fly solo from Britain to Australia has gone on public display. 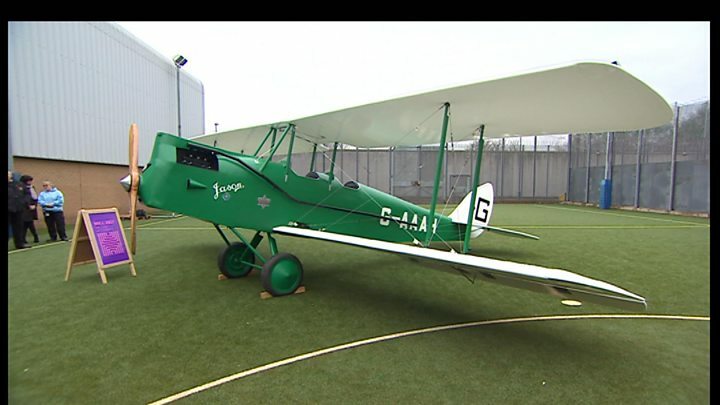 Inmates of Hull Prison created the Gipsy Moth plane over a six-month period as part of the Hull City of Culture 2017 programme. Amy Johnson, who was born in Hull in 1903, flew the original plane from London to Darwin in 19 days in 1930. The model has gone on display at the city's Paragon railway station. The replica bears the name Jason and the G-AAAH letters of the original de Havilland Gipsy Moth. The original plane remains on display in the Science Museum, London after a request was refused to loan the aircraft for an Amy Johnson Festival in Hull. Stephen Murray, of Hull Prison, said: "It gives the inmates pride in what they do and demonstrates the skills they've got and have learnt inside the prison." "If you put an engine inside it, I do believe it would fly." Hull Prison holds more than 1,000 men and young offenders. About a third of those held are serving sentences of four years or more for serious offences. A new statue to honour Ms Johnson was unveiled near her birthplace in Hull in September. Following her record-breaking flight, she joined the Air Transport Auxiliary flying aircraft from factories to RAF airbases during World War Two. She died in mysterious circumstances when her plane crashed in to the Thames estuary in January 1941. Her body was never found.